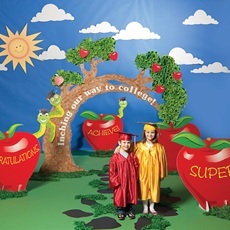 Create an adorable apple and caterpillar theme for your preschool or kindergarten graduation ceremony. Start with a complete prop set and add a few touches of your own to create the perfect theme for your little graduates. Here are some ideas to get you started. • Sing a song about caterpillars or apples. Check out the fun ideas here. • Have each child say what they want to be when they grow up or what they like best about school. With these fun ideas and a little imagination, you can create a fun, age-appropriate graduation theme your little graduates and their parents will love. 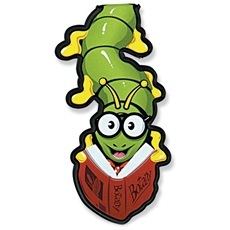 What is your preschool or kindergarten graduation theme this year?